The LGSVL Simulator supports creating, editing, and exporting of HD/vector maps of existing 3D environments (Unity scenes). The maps can be saved in the currently supported Apollo or Autoware formats. Currently, map annotation is only supported while running the simulator as a Unity project in a Windows environment. By default, map annotation is not shown. Click Show/Hide Map to show existing map annotation. Before annotation, select correct Parent Object in MapToolUtilEdit, for example Map. Then every new object you create will be under Map object. Maker sure your roads belong to the layer of Ground and Road since waypoint will be only created on this layer. 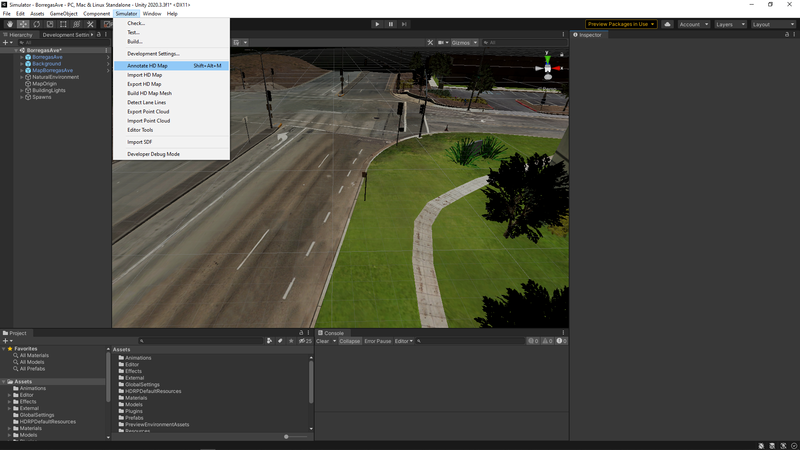 Click Create Temp Map Waypoint button to create a new point in the center of current scene window. Because you might want to connect lanes of different angles and do it multiple times, we provide the ability of saving different presets to generate in-between lanes. Check Offset Start/End Points if you want a small offset between the end points of the new lane and the end point of the selected two lanes, otherwise those points will overlap with each other completely. 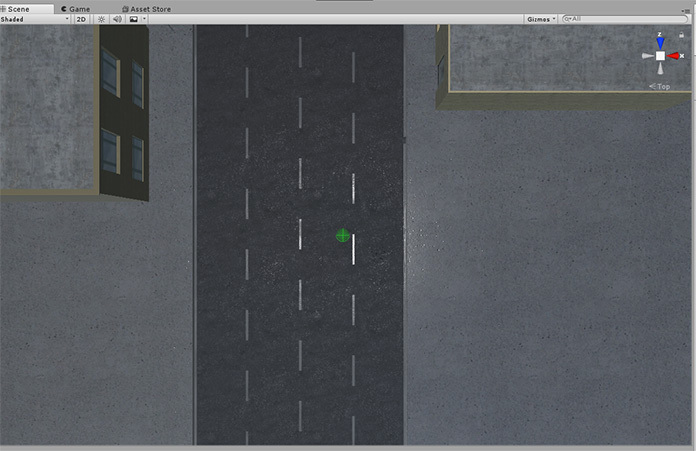 Similarly, you can create stop sign and link the stop sign to the corresponding stopline using corresponding buttons. Press w so you can rotate the created pole. For Autoware, there needs to be two waypoints for every lane, i.e. five waypoints are needed for four lanes, three waypoints are needed for two lanes, etc. Apollo does not have such a requirement.